The teenager who killed four people in a drunk-driving incident escaped jail for a second time and was sent to a rehabilitation center. 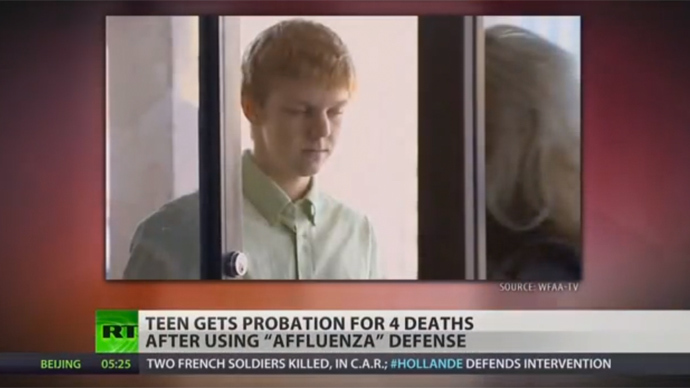 His defense used the ‘affluenza’ strategy, insisting his privileged upbringing made the teen reckless. ‘Affluenza’, commonly viewed as selfish, immature behavior caused by a consumerist upbringing, is not recognized by the American Psychiatric Association as an official illness or diagnosis. The term – a portmanteau of ‘affluence’ and’ influenza’ – was coined in the 1970s and once again garnered attention in the mid-noughties, with psychologist Oliver James releasing a book on the subject. 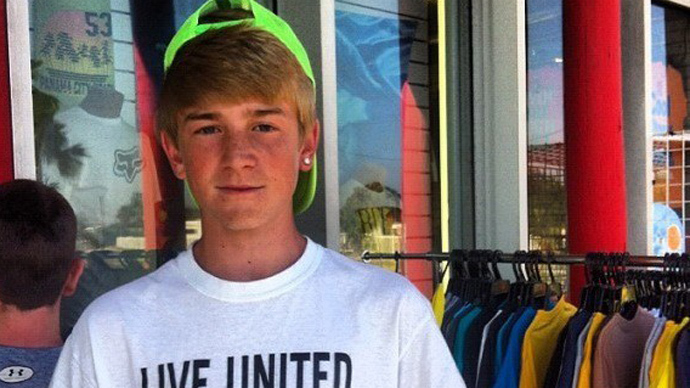 At the first hearings held in December, sixteen-year-old Ethan Couch’s defense called in a psychologist as a witness. The psychologist testified that Couch’s parents used him as a weapon against each other and that the teen’s emotional age was close to 12. The accident which took place on June 15 last year took the lives of four people. Couch’s blood alcohol limit was later found to have been three times the legal amount for driving. He had seven passengers in his Ford F-30, and was speeding when he killed pedestrians Shelby Boyles, who was 21, her mother Hollie Boyles, 52, alongside Brian Jennings, 43, and 24-year-old Breanna Mitchell. Two 15-year-olds were flung from the car in addition to the four pedestrians who were killed, and sustained serious injuries, according to the prosecution. One suffered a brain injury and can no longer move or speak, while the other suffered broken bones and internal injuries. In December, when Couch pled guilty to manslaughter and was sentenced by Texas District Judge Jean Boyd for the four deaths, he was given 10 years' probation, ordered to get therapy, and to go into rehab for a combination of substance abuse and behavior problems – to be paid for by his parents. Couch was not sentenced in December in connection with the two who were wounded. Prosecutors were pushing for a similar 20-year prison sentence. Critics denounced the ruling as symptomatic of an inherently flawed legal system that treats the poor and the rich very differently. The hearing on Wednesday in Fort Worth, which was closed to the general public and press alike, ended in the evening. Prosecutors said that the teen should be sent to prison. However, Boyd declined to issue a separate verdict on the two intoxication assault charges. The judge instead decreed that Couch should be sent to a secure rehabilitation facility. The parents had previously offered to spend $450,000 a year on the California-based treatment. 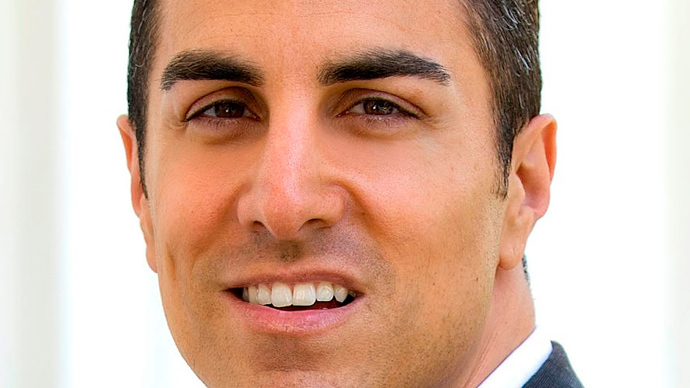 During his probation, he is banned from both driving and drinking alcohol. Critics of the verdict, however, say the outcome was just an example of a justice system that treats the rich and the poor differently. “If he did not have the money to pay for defense attorneys or treatment, it all might have worked out differently,” said Eric Boyles, husband and father to two of the deceased, according to Reuters.